You will listen, O Lord, to the prayers of the lowly; you will give them courage. In Genesis we have Abram because Abraham, and agree that circumcision is close to godliness. I’m not sure I can get on board with that, thankfully the old testament is pretty out. 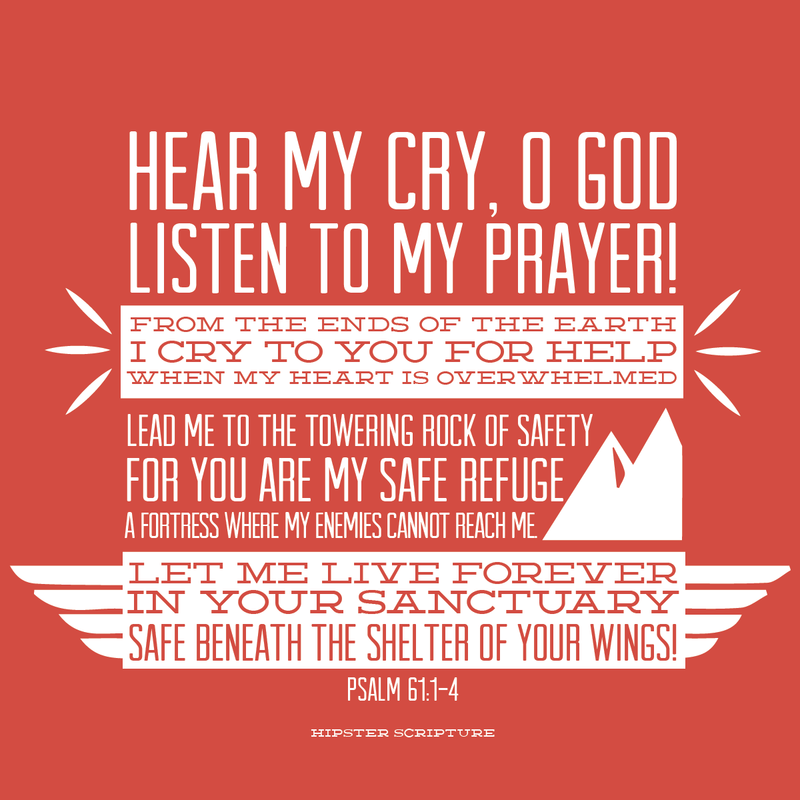 The psalms had a touch of vengeance, but some nice bits that encourage those who need it and focus on support. Yes. This should have been yesterday… I’m pulling a double today. I honestly cannot say I understand today’s reading from Genesis, how to apply it to life, or how to figure out something to say about it. It’s harsh. Just harsh. The psalm doesn’t bring me anymore understanding. In verse 9 I can’t help but thing “except when she send you back to continue being a mistreated slave”. Sometimes I have issues with the old testament… It’s so colored by the time in which it was written. The Psalm today, while it had a slight bit of vengeance in it, is decidedly sweeter than the past ones, which I appreciated. and Abram’s story is getting more interesting as we progress through Genesis. I’m seeing the first hints of the coming Passover and the plight of the Jews in Egypt. It’s interesting to get this new perspective on a story I have known so well for so long. The gospel of Luke, however, is starting to worry me. I’ve just done easter and I can feel the death of Jesus on the cross drawing nearer in the text. So I’m going to focus on the storiesI did and didn’t know as this progresses, of his miracles and good works and find joy in them rather than dwelling on the dark days I spent so long in through Lent. There is always light in the dark. It’s nice to have had the stories from Luke in this reading. Jesus’ healing of Jarius’ daughter is one of the greater miracles, and it’s accompanied by so many other miracles in the same section of the text! And still both Genesis and Psalms are those of revenge and holy fire. I hope that at least the Psalms will change their tone to one of love, soon. But I will curse those who curse you. I think I ended up oddly focused in on grief, blessing and light today based on the way Holy Week has left me wrung out and needing rest. Holy week has been long this year, and trying as I devoted myself more throughly than ever in the past, while still working to keep up with my Graphic Designer work. At least I’m no longer in school and free to do such as I please (unlike the slaves that Abraham took amongst his wealth away from him homeland). Is it just me, or are some of the stories of the old testament a bit… Abrupt? And the early psalms… A bit, violence and vengeance filled? It was an interesting set of readings today. Genesis was pretty-much a throwaway, being a genealogy and containing little more that I could discuss at this time. The Psalm was one that’s colored by a wish for revenge. As a pacifist it really rubs me a bit of the wrong way. Revenge is for those who do not forgive, and are we not meant to forgive? I did find the readings from Luke to be inspiring, though. The journey through Holy Week as it descends into darkness is a difficult one (though one that makes Easter all the more meaningful). Verses about faith and wisdom are helpful right now. I have issues attempting to read the bible literally. Mainly because it doesn’t work to over literalize things. Specifically, you run into issues with things like God deciding that he is sorry that he made “any of them” but still being pleased with Noah (who, in a literal interpretation, would have to be placed amongst the “them” that so displeased God). Instead, you have to read without the deeply literal sense and separate Noah from being a part of “them”. I know I’m failing at elegant writing here, but it’s late and I’m tired, and I’ve already done this once today, so what you get is what you get. I’m jumping strait into the section of Luke that we read. I’ve never been a fighter on my own behalf. I’m willing to protect others, but I’ve got a long history of not fighting back when it comes to myself being the one at threat. My Mother does not appreciate my tendencies here (neither does my husband…). This came up in a conversation with my Mom recently, and reading this was a good reminder for myself about why I’m not completely crackpot in my nature (just a little bit, but so’s everyone else. Just in other ways). Another abrupt jump, so just that I can recode this thought. I’ve always found it funny that people give God credit in victory, but rarely treat defeat in the same way (blaming themselves instead of crediting God). Is Psalms 3 the source of this practice? On the whole this was a dry section of the Bible, but how much entertainment value can you find in a section that devotes a huge amount of its words to genealogy? But I suspect things will get more interesting. An overlying theme in the readings seemed to be establishing a deeper understanding of sin and evil, so it makes a nice followup to the previous reading. I did, in Genesis, get a little fixated on the snake, who previously didn’t “go around on his belly”. This sort of suggests that the snake wasn’t a snake to begin with, and may have been more of a lizard! And this is actually backed up by genetic leftovers like the free-floating legbone remnants in the skeleton of a snake! This section of Genesis isn’t very kind to Women’s rights, either. We see women glossed over and mostly written out of the scripture here, aside from to punish all of us for the evils of one woman. But it seems in line with the time in which it was originally recorded, when such far-reaching consequences were the norm and people sought deep justice (See the bit about Lamech killing a guy for striking him). Then, moving on, I don’t really have much to say about the reading from Luke. All in all it just established the Pharisees as closed mind and caught up deeply in the process rather than the faith as they grow to despise Jesus. And finally, the Psalm, which feels like a continuation of one, and another discussion in which “Happy” and “Religious” share the same meaning. The chatting part of this adventure is going to be the part that is the most fun. The Nut (He’s specifically Valk’s Nut, which you’ll understand once his Blog is up and running and I link it in one of these posts. The short version is that this is what I’m calling the Husband in these posts) and I started talking about the Psalm, and the interesting twist of meaning. I also told him about the fact that some variations of translation do imply that the “happy” might be translated as “devote” or “religious”. From there we got into Luke, which was a story that the Nut loved, and I hadn’t encountered directly. I did encounter it in today’s sermon, though, so it was a nice stroke of luck that let me understand the sermon a bit better. The bit I quoted above from 5:30 is actually the piece of it that was also directly quoted in the Sermon. Then we moved on to talking about Genesis, which is always interesting. The Nut contends that it’s two variations on the creation story (citing the differences of ordering as his primary evidence). I’m leaning towards it being one story, first the reader’s digest version followed by an up close and more detailed version in full text. I attribute the differences of order to that the texts are so old, and traveled by word of mouth for so long before they were written down. In all honesty, I suspect either interpretation has some validity. Some of the difference could even be chalked up to targeting different groups and needing different variations to appeal to them. Then we moved onto Genesis, where we quickly became fixated on the fact that the word “Man” is taken from “Woman” in english, and thus the language change seems to have stripped a certain amount from the text here. Man is “Aish” in transliterated hebrew, while Woman is “Ashe”. So we still don’t see it, but I suspect there might be something in the characters that we’re missing simply because we don’t know how to read hebrew script. Given a chance, I think we might have to ask Pastor (who’s also the Nut’s Father).